Welcome to the vegan food pyramid. If you are here for the first time, congratulations on wanting to improve your health. A vegan food pyramid consists of grains, vegetables, fruits, legumes and healthy fats like nuts, seeds and avocado. There are many reasons to begin a healthy vegan diet. Did you know that a vegan diet can lower your blood pressure and cholesterol? Since cholesterol is found only in animal products such as meat, dairy, and eggs, vegans consume a cholesterol-free diet. Many studies show that replacing animal protein with plant protein can lower blood cholesterol. Vegan diets are also linked to lower blood pressure. There is now an abundant amount of scientific evidence that people who follow a vegan diet tend to have lower blood pressure. A whole foods plant-based diet is also the number one way to improve your chances of not getting a chronic disease. The worst options are any foods that increase bad cholesterol like cheese, red meat and processed foods. If you are obese, you can expect dramatic weight loss. Research has shown that the average weight and BMI was lowest among vegans. Additional health benefits are healthy kidneys, gallbladders and glowing skin. A plant-based diet can drastically improve your energy. 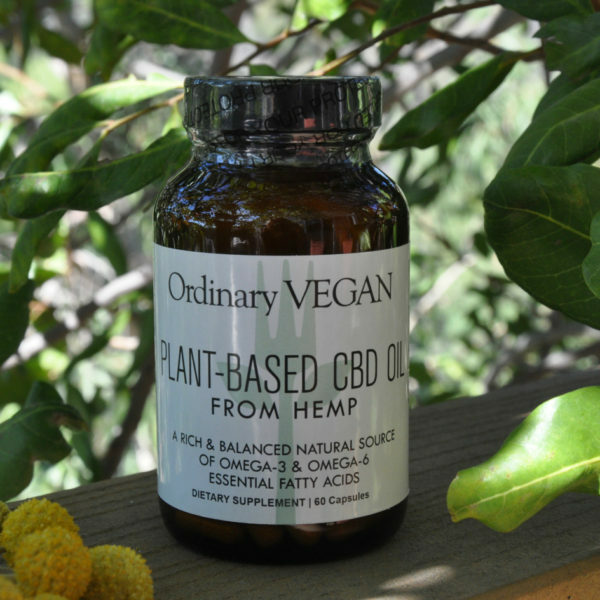 Plants also have high levels of dopamine and serotonin which can help boost levels in the human bloodstream creating feelings of peace and happiness. 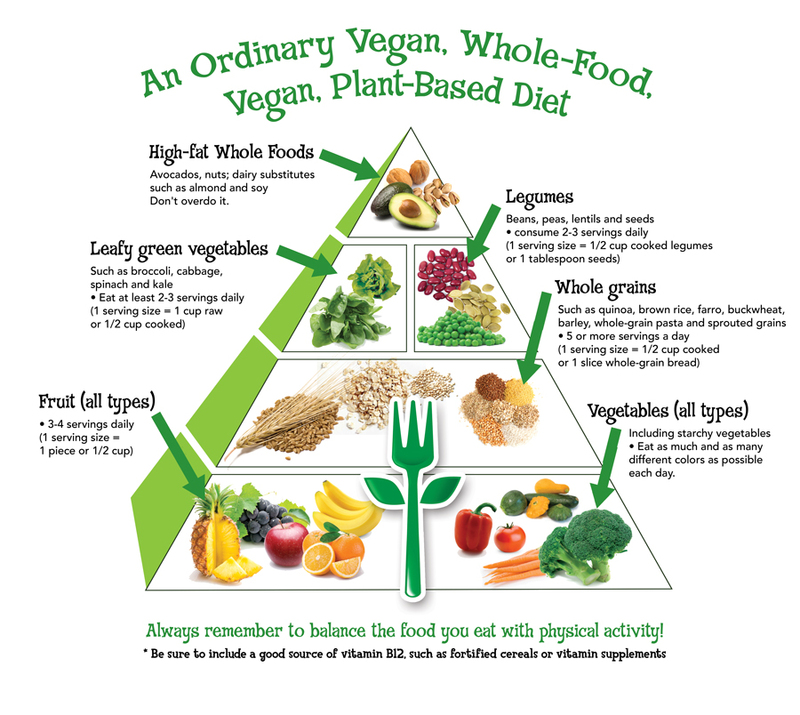 There are so many reasons to follow a plant-based diet and this vegan food pyramid can guide you. 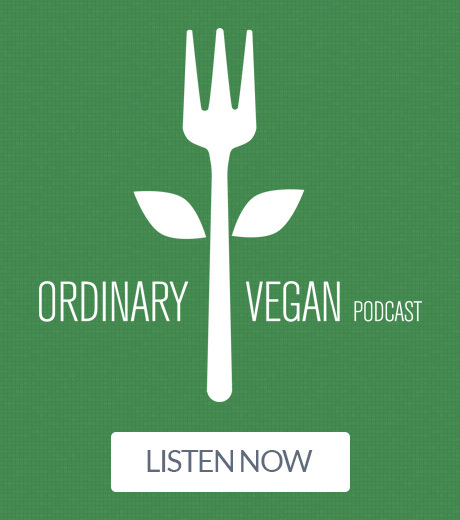 Don't miss Ordinary Vegan's podcasts for the latest nutritional information here on this website or on iTunes. Thanks for stopping by. Wishing you a peaceful and compassionate week. This is a great help! I’ve recently started my vegan journey. It’s been a bit overwhelming, but I’m feeling really good about this! I like the chart but am wondering why the grains aren’t flipped with the leafy greens and legumes. Aren’t they of higher nutritional value? I look at whole grains as the canvas of a plant based diet. Grains are an important source of dietary fiber including several B vitamins and minerals like iron, magnesium and selenium. Fiber containing foods help provide a feeling of fullness with few calories. It would be much harder to get that feeling of fullness with leafy greens and many people can only handle a certain amount of legumes a day. Also, dietary fiber from whole grains help reduce blood cholesterol levels and lower the risk of heart disease, obesity and type 2 diabetes. 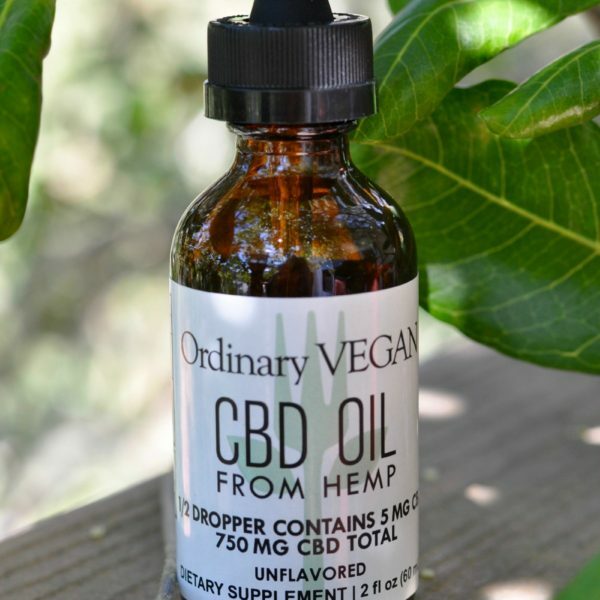 It is definitely a plant based superfood. Your site is very helpful for a newbie so thanks again. 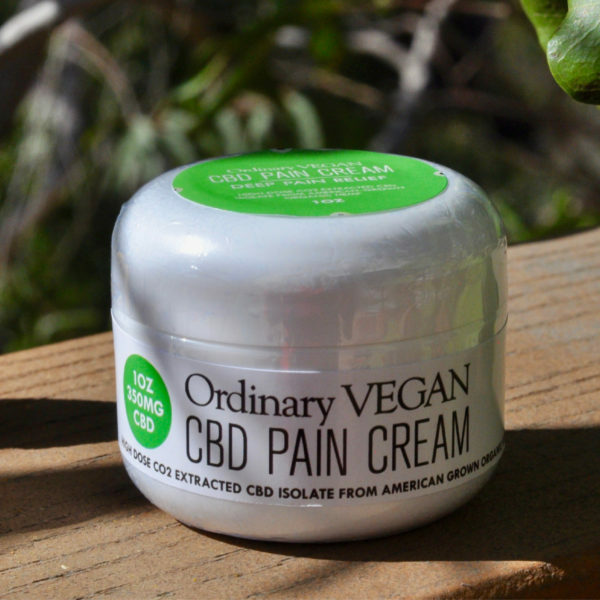 I’m almost a week into my vegan journey and this is incredibly helpful! Thanks so much! Just wondering because its not marked is it 3-4 servings of vegetables? I see it is for fruit, is it the same for the veggies? Thanks! Best chart I have seen so far! Hi Jennie – you can enjoy as many vegetables as you like – no limit. Thanks for the kind words and thanks for being part of our community! Thank you for sharing this great chart. I am so very grateful for the resources available on your site. I am now ready to start my vegan journey. Could you provide a minimum number of servings for the vegetables on the bottom that are not leafy green? I’m trying to eat a balanced diet but sometimes I fill up on grains and legumes and don’t have room for anything else. Also, do you have resources about which nutrients we need and plant sources? Thank you! Hi Stephanie – You can eat as many vegetables as you want – I recommend 4 or more servings a day and all the leafy greens you desire. If you are eating a well balanced whole-foods plant-based diet without any processed foods, you shouldn’t worry about getting enough nutrients. Attached is a link of what your plate should look like. I always recommend keeping it simple as possible especially in the beginning. I also recommend having a couple of teaspoons a day of ground flax (throw in your oatmeal) chia seeds & hemp seeds (on top salads, stir fry etc). This will provide you with all the omega 3s and protein to run a marathon. Good luck Stephanie and congratulations on your plant-based diet and thanks for being part of our community. Hi Nina – Thanks for being part of our community and the suggestion. I will definitely do that in the future.